Rishi Sathe is a Mechanical Engineer incubating new product concepts focusing on Microsoft’s AI initiative. He combines individual technology pieces into fully functional Incubation Hardware Development Prototypes. His expertise lies in developing Mechanical Architectures for new product concepts and drive Product Development from Concepts to Productization. 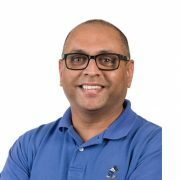 Rishi’s recent accomplishments include Architecting and Implementation of the Mic Array stack and 3D Audio Speaker implementation for Microsoft HoloLens.Prior to joining Microsoft on 2011, Rishi spent 8+ years at Nokia working on different aspects of Mobile Phone Architecture, Design and Manufacturing.